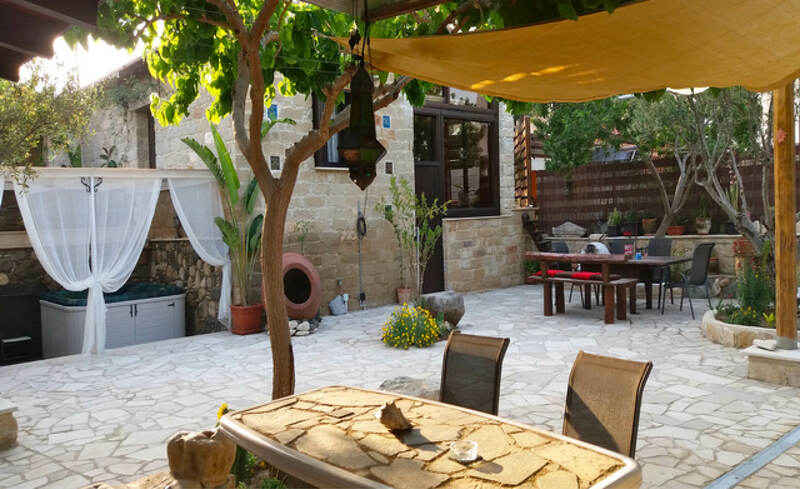 House is located in a quiet residential area of Pyrgos with easy access to all amenities and highway. 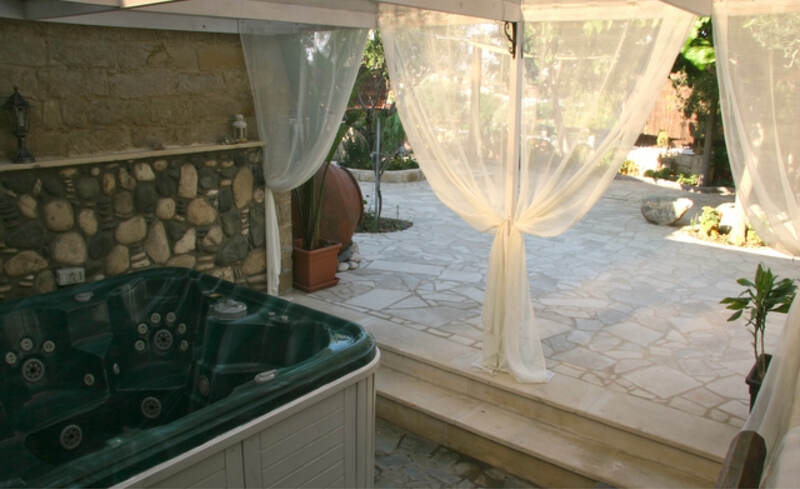 It’s situated within 7 minutes drive to Malindi beach and 40 minutes drive to Larnaca airport. 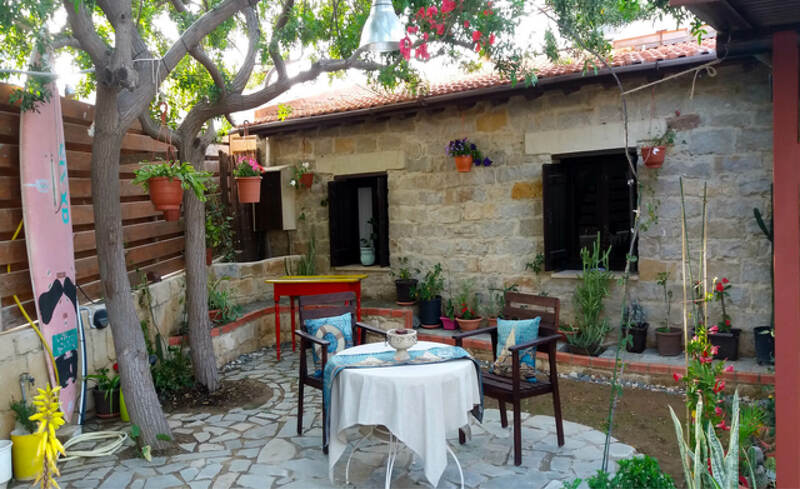 Beautiful and traditional 3 bedroom stone built house has been fully renovated, giving a combination of modern and retro style character. 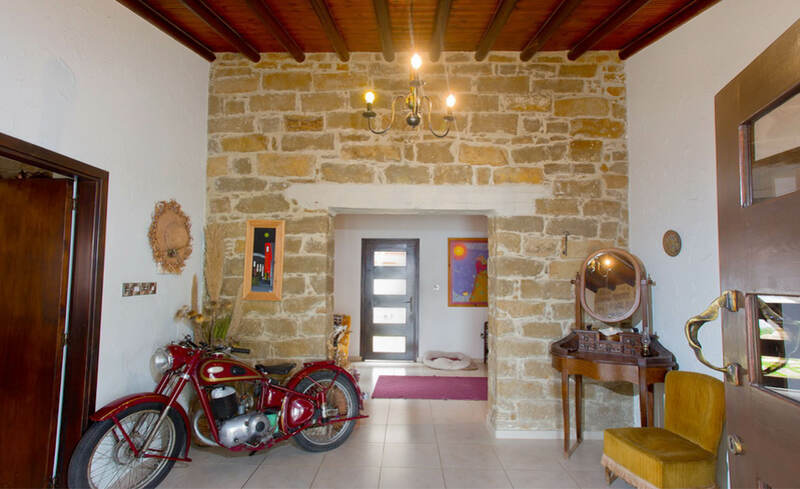 Solid wooden entry door leads into a spacious hall. 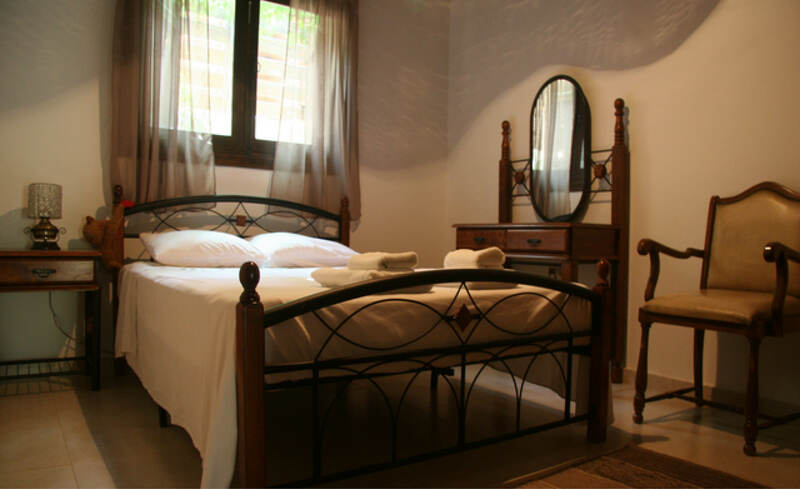 On the right side of the hall is the master bedroom with fitted wardrobes and traditional shutters. This bedroom is large and en-suite shower. 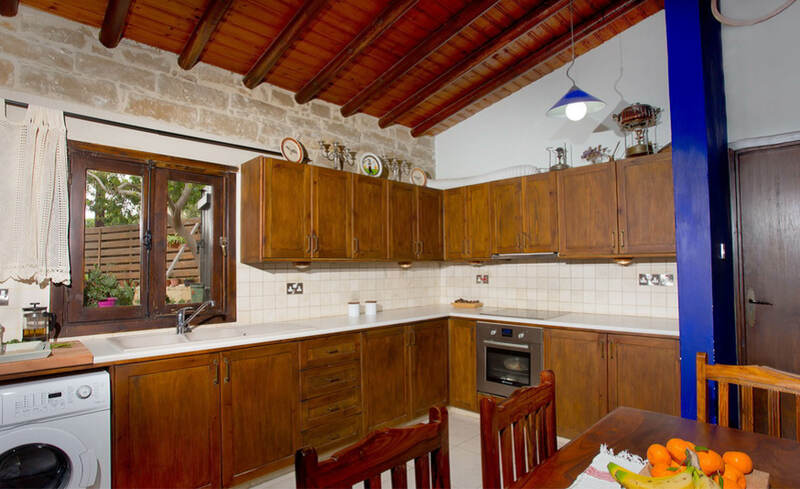 Very spacious, fully fitted and equipped kitchen. 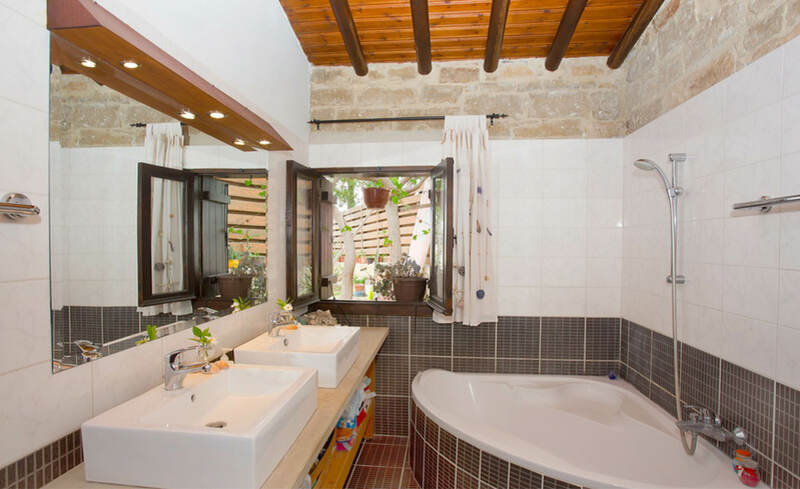 The main bathroom is off the kitchen with double ceramic washing basins and a corner large bathtub. 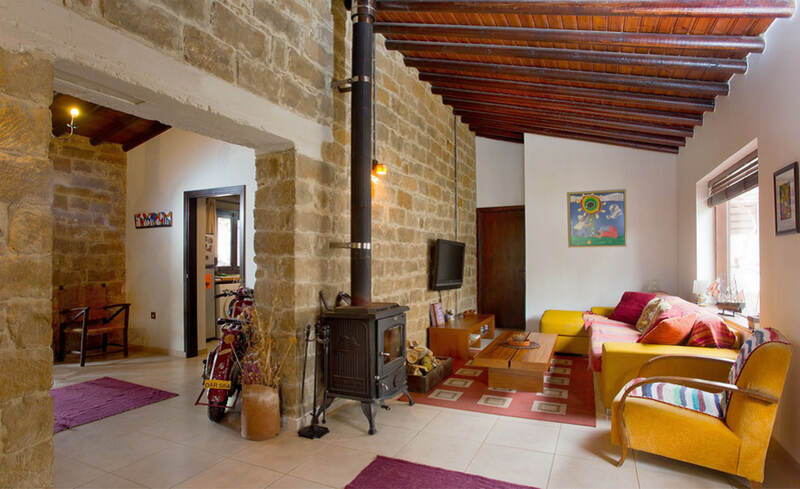 Furthermore offering features of original expose stonework and wooden log ceilings. 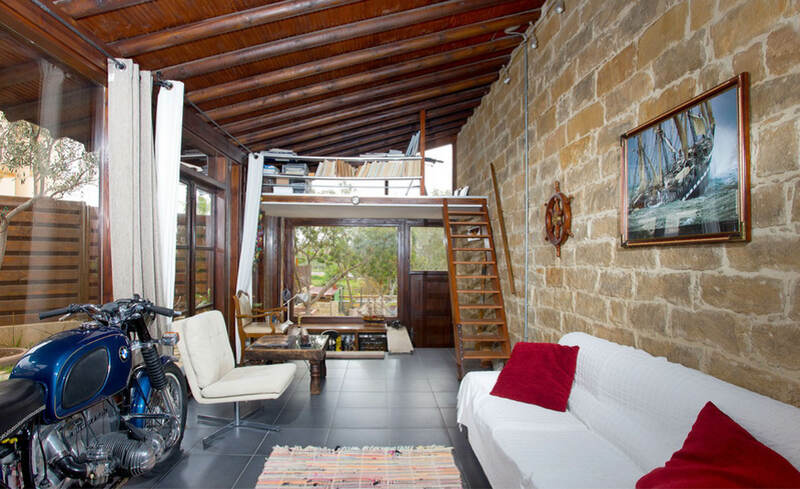 A wooden sliding door leads to a full glass 2nd room / sitting area with staircase leads to a beautiful small loft with a double mattress. Leading off from the TV area is a third bedroom with fitted wardrobes also and double bed.